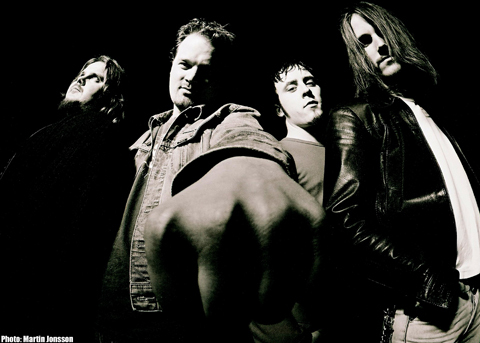 Dozer are a stoner rock/metal band from Sweden. The band was started, as many are, out of pure boredom. In the late 90's they began sending in their demo, although not really expecting anything big to happen. When Frank Kozik of Man's Ruin Records heard their demo, he immediately signed them. Man's Ruin released their first album, In the Tail of the Comet. Soon after, they came out with their second release, Madre de Dios (Spanish for "mother of god"). This was not as successful as In the Tail of the Comet as Man's Ruin collapsed soon after. 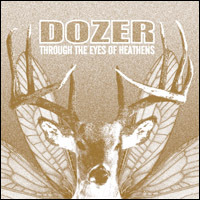 In 2003, Dozer made a comeback with Call it Conspiracy. Their latest album, Through The Eyes Of Heathens has achieved much success also with its more hard rock and metal roots. Fredrik and Tommi are also part of the swedish stoner band Greenleaf.